Cobblestone Trace Condos are a collection of affordable condos near Indian River Road and Ferrell Parkway. 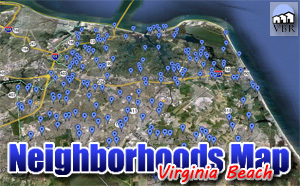 It is a great way to get into a desirable area of Virginia Beach with little money! This is a set of condos in the southern part of the Indian Lakes neighborhood. The Shopping is extremely convenient. Within walking distance is Indian Lakes Crossing and Parkway Marketplace. With a variety of large grocery stores and dining establishments, you will have most of your needs provided nearby. The commute is sure to be easy from here. Ferrell Parkway is a huge artery to North Eastern Virginia Beach. Indian River Road is a widely used artery to North Western Virginia Beach and it leads to Interstate 64. Nearby neighborhoods include Indian Lakes, Brigadoon and Glenwood. Cobblestone Trace Condo is in the Salem High School Zone. We have a page with all the condos for sale in Indian Lakes. Click on this button to see everything currently listed there. When you find a home you would like to see, please let me know! Call (757)589-1237 and I will arrange a showing! Or, on the property, complete the Find Out More form and click submit. I will get information to you right away!